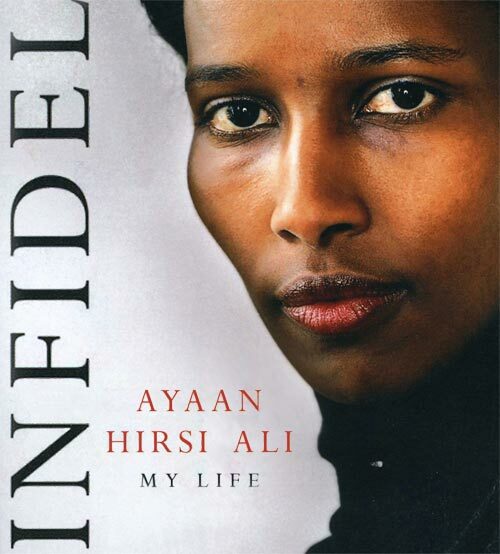 Ayaan Hirsi Ali became known internationally and acquired celebrity status through her best-selling memoir Infidel, in which she told the spellbinding story of her journey away from the Islamic faith (I reviewed Infidel here in May 2012). Hirsi Ali was born in 1969 in Somalia and lived in several different places growing up, including Saudi Arabia, Ethiopia and Kenya. Rather than acquiesce in a marriage that her family had arranged for her, Hirsi Ali fled to the West, winding up in the Netherlands. She became a political activist there, winning a seat in the Dutch Parliament as a visible and vocal critique of many Islamic practices, particularly those affecting girls and women. But she was also critical of Dutch authorities and their overly tolerant, ineffectual reaction to such practices as female genital mutilation and “honor killings” of girls and young women who bring “shame” upon their families. Hirsi Ali became a friend of the Dutch filmmaker Theo Van Gogh (a descendant of the painter), who was brutally killed in Amsterdam, ostensibly because of the criticisms of Islam contained in a film he had produced. After Van Gogh’s death, Hirsi Ali fled to the United States, where she now lives as a highly visible, outspoken (and heavily guarded) critic of present day Islam. 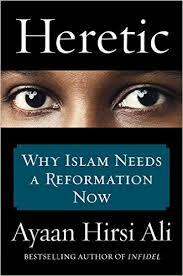 Hirsi Ali’s most recent book, Heretic: Why Islam Needs a Reformation Now represents, she indicates, a “continuation of the personal and intellectual journey” she chronicled in Infidel and her other books (p.54). Here, Hirsi Ali addresses head-on the primary reason she has become a controversial figure: she firmly rejects the conventional liberal view of “jihad,” the wanton and barbaric violence practiced by professed Muslims. In the conventional view, jihad is a grotesque distortion of Islam, the work of a small number of fanatics who have “hijacked” a peaceful faith. Not so, Hirsi Ali counters. Citing chapters and verses of the Qur’an, she contends that violence toward “infidels,” both non-Muslims and non-conforming Muslims, is an integral, inseparable component of a complex faith that counts over a billion followers across the globe. Jihad in the twenty-first century is “not a problem of poverty, insufficient education, or another other social precondition. . . we must move beyond such facile explanations. The imperative for jihad is embedded in Islam itself. It is a religious obligation” (p.176). Far from being un-Islamic, the central tenets of the jihadists are “supported by centuries-old Islamic doctrine” (p.205). Hirsi Ali is thus not one to avoid the term “Islamic terrorism.” It is no longer plausible, she contends, to argue that organizations such as Boko Haram and the Islamic state, ISIS, have “nothing to do with Islam. It is no longer credible to define ‘extremism’ as some disembodied threat, meting out death without any ideological foundation, a problem to be dealt with by purely military methods, preferably drone strikes. We need to tackle the root of the problem of the violence that is plaguing our world today, and that must be the doctrine of Islam itself” (p.190). The sanctioning of violence against infidels is in Hirsi Ali’s view only the most visible manifestation of Islam’s incompatibilities with the “key imperatives of modernity: freedom of conscience, tolerance of difference, equality of the sexes, and an investment in life before death” (p.51). Islamic thought rejects these hallmarks of democratically liberal and economically advanced societies, Hirsi Ali argues. Islam therefore needs a reformation now, not unlike that which Christianity experienced in the 16th century. I would prefer the term “Enlightenment,” referring to the new modes of thinking that emerged in the 18th century. At one point, Hirsi Ali cites two figures associated with the Enlightenment, arguing that Islam “needs a Voltaire” and also has a “dire need” for a John Locke and his “powerful case for religious toleration” (p.209). But the terminology is not consequential. What Hirsi Ali advocates is that Islam and the Islamic world modernize. And, surprisingly, Hirsi Ali does not despair: in her view, a genuine Islamic reformation is not as far-fetched and fanciful as one might expect. Hirsi Ali characterizes Islam as, paradoxically, the “most decentralized and yet, at the same time, the most rigid religion in the world. Everyone feels entitled to rule out free discussion” (p.66). Islam has no counterpart to the hierarchal structures of the Catholic Church, starting with the pope and the College of Cardinals. Unlike Christianity and Judaism, the “tribal military and patriarchal values of [Islam’s] origins were enshrined as spiritual values, to be emulated in perpetuity . . . These values pertain especially to honor, male guardianship of women, harshness in war, and the death penalty for leaving Islam” (p.85). Islam in Hirsi Ali’s view upends the core Western view that individuals should, within certain limits, decide for themselves how to live and what to believe. Islam has “very clear and restrictive rules about how one should live and it expects all Muslims to enforce those rules” (p.162). The “comprehensive nature of commanding right and forbidding wrong is uniquely Islamic,” she argues. Because Islam does not confine itself to a separate religious sphere, it is “deeply embedded in political, economic and personal as well as religious life” (p.156). Islam is a “political religion many of whose fundamental tenets are irreconcilably inimical to our way of life” (p.213). Hirisi-Ali’s analysis discounts the traditional division of Islam into Sunni and Shiite sects. This division is important to understand geo-political realities and the sectarian violence in today’s Middle East, particularly in Iraq and Syria, along with the growing regional rivalry between Shiite Iran and Sunni Saudi Arabia. But the division does not help in understanding Hirsi Ali’s point that jihad-like violence toward “infidels,” including non-conforming Muslims, is embedded into and is an integral part of both Shiite and Sunni Islam. The more salient distinction is between what Hirsi Ali terms “Medina” and “Mecca” Muslims. Medina was the city where the Prophet Muhammad and his small band of 7th century followers gave a more militant cast to their faith, forcing polytheist non-believers – “infidels” — either to convert to Islam or die (Jews and Christians could retain their faith if they paid a special tax). Medina Muslims aim to emulate the Prophet Muhammad’s warlike conduct after his move to Medina. They are more rigid and tribal than Mecca Muslims, seeking the forcible imposition of Islamic law, sharia, as their religious duty. Although not all Media Muslims are violence-prone jihadists, jihad fits comfortably into their worldview. Even if Medina Muslims do not themselves engage in violence, “they do not hesitate to condone it . . . Medina Muslims believe that the murder of an infidel is an imperative if he refuses to convert voluntarily to Islam” (p.15). For Medina Muslims, other faiths and other interpretations of Islam are “simply not valid” (p.40). The good news is that Medina Muslims are a minority within the Islamic world. Mecca Muslims, the clear majority, are “loyal to the core creed and worship devoutly, but are not inclined to practice violence” (p.16). But the bad news is that Mecca Muslims are “too passive, indolent, and – crucially – lacking in the intellectual vigor to stand up to the Medina Muslims” (p.49). Winning their support for the reformation which Hirsi Ali envisions will be crucial but far from easy. Moreover, reform is “simply not a legitimate concept in Islamic doctrine,” Hirsi Ali argues. The “only accepted and proper goal of a Muslim ‘reformer’ is a return to first principles” (p.64). Reform in the Islamic world has been narrowly focused on such questions as whether a Muslim could pray on an airplane, a technological innovation unknown to the Prophet Muhammad. But the “larger idea of ‘reform,’ in the sense of fundamentally calling into question central tenets of Islamic doctrine, has been conspicuous by its absence. Islam even has its own pejorative term for theological troublemakers: ‘those who indulge in innovations and follow their passions’” (p.212-13). 1. Ensure that the life of the Prophet Muhammad and the Qur’an are open to interpretation and criticism — The “crucial first step” in the process of modification and reform of Islam will be to “acknowledge the humanity of the Prophet himself and the role of human beings in creating Islam’s sacred texts”(p.105). 2. Give priority to this life, not the afterlife — Islam’s “afterlife fixation” erodes the “intellectual and moral incentives that are essential for ‘making it’ in the modern world” (p.124); until Islam stops fixating on the afterlife, Muslims “cannot get on with the business of living in this world” (p.127). 3. Shackle sharia and end its supremacy over secular law — “What separated Muslims from the infidels . . . was the God-given nature of their laws. And because these laws came ultimately from Muhammad’s divine revelations, they were fixed and could not be changed. Thus the law code dating from the seventh century continues to be followed today in nations and regions that adhere to sharia” (p.133-34). 4. End the practice of empowering individuals to enforce Islamic law — Unlike the totalitarian regimes of the twentieth century, which had to work hard to persuade family members to denounce one another to the authorities, the “power of the Muslim system is that that the authorities do not need to be involved. Social control begins at home” (p.154); consequently, “every small act, every minor infraction has the potential to become a major religious crime” (p.165). 5. Abandon the call to jihad — The concept of jihad should be “decommissioned” (p.205); clerics, imams, scholars and national leaders around the world need to declare jihad “haram,” forbidden (p.206). Hirsi Ali contends that these amendments can take place “without causing the entire structure [of the Islamic faith] to collapse” (p.73). Her amendments will “actually strengthen Islam by making it easier for Muslims to live in harmony with the modern world” (p.73). She acknowledges that medieval Christianity knew practices similar to those targeted in all but her 4th amendment (the practice of empowering individuals to enforce Islamic law has no analogue in hierarchical medieval Catholicism). Reform-minded Islamic experts might quibble about some of Hirsi Ali’s wording and emphasis. I found it surprising that altering Islam’s view of women does not merit a separate amendment. Improvement in the status of women in Hirsi Ali’s analysis is rather an outgrowth of her 3rd amendment, shackling sharia: “there is no more obvious incompatibility between Islam and modernity than the subordinate role assigned to women in sharia law” (p.225). 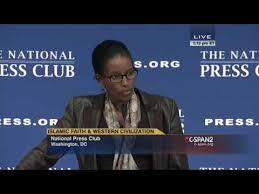 Hirsi Ali is far from the first to call for an Islamic reformation. She nonetheless convinced me that reform of Islamic doctrine and the Islamic worldview along the lines of her five amendments would go far to render Islam a more tolerant religion, capable of coexisting with the world’s other faiths. But how does Islam catapult from the 16th century into to the 21st? Hirsi Ali’s response is vague, underscoring that her book is more polemical than practical — it is not a roadmap to the Islamic reformation. Realization of her five amendments will be “exceedingly difficult” (p.73), Hirsi Ali acknowledges. The struggle for the reformation of Islam is a “war of ideas” which cannot be fought “solely by military means” (p.220). It must be led by a relatively small number of “dissidents” and “modifying Muslims” within the Muslim world who reject the Medina Muslims’ efforts to return to the time of the Prophet Muhammad. The prize over which the dissidents and the Medina Muslims fight is the “hearts and minds of the largely passive Mecca Muslims” (p.223). The availability of new information technology is critical in empowering those who seek to oppose the Medina Muslims. The Western world should “provide assistance and, where necessary, security to those dissidents and reformers who are carrying out [the] formidable task” of seeking to reform Islam from within Muslim majority countries (p.250), Hirsi Ali writes. They should be defended and supported in the West in a manner analogous to the way the West defended and supported Soviet dissidents during the Cold War. Such dissidents are “ultimately allies of human freedom though they may differ with Westerners on matters of public policy” and are “unlikely to agree with Westerners on every matter of foreign policy” (p.249). no longer accept limitations on criticism of Islam. We must reject the notion that only Muslims can speak about Islam, and that any critical examination of Islam is inherently ’racist’. . . Multiculturalism should not mean that we tolerate another culture’s intolerance. If we do in fact support diversity, women’s rights, and gay rights, then we cannot in good conscience give Islam a free pass on the grounds of multicultural sensitivity (p.27-28). 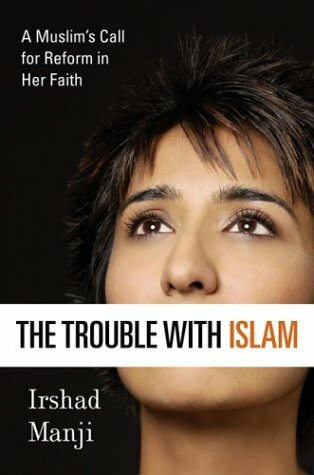 In Western countries, she argues at several points, Muslims “must accommodate themselves to Western liberal ideals” (p.213), rather than the other way around. In addition to its vagueness on how to bring about the Islamic reformation in Muslim majority countries, two additional shortcomings undermine the cogency of Hirsi Ali’s otherwise trenchant critique. Hirsi Ali has a full section devoted to what she terms “Christophobia,” an antipathy toward Christianity which she says pervades Islamic countries across the globe and dwarfs what we often term “Islamophobia,” discrimination in the West against individuals because of their Muslim backgrounds and unequal treatment of Muslim religious institutions. She discounts Islamophobia as overstated and overblown by journalists. But in a book targeting Westerners it is myopic to dismiss Islamophobia as inconsequential. Anyone following current presidential elections in the United States or immigration issues in Europe knows that the phenomena of Islamophobia needs to be treated as a serious concern in Western societies. Hirsi Ali misses an opportunity to provide Westerners with her guidance about how they might work out the tension between acknowledging the often-illiberal substantive content of Islamic beliefs and practices without encouraging or succumbing to anti-Islamic hysteria, Islamophobia. Hirsi Ali has more stature than just about anyone I can think of to provide such guidance. That might be a worthwhile subject of her next book. Finally, at the end of her analysis, Hirsi Ali argues that Christianity and Judaism underwent a process of “repeated blasphemy” to evolve and grow into modernity (p.233-34). Those who wanted to uphold the status quo in Christianity and Judaism made the same arguments as those of present-day Muslims: that “they were offended, that the new thinking was blasphemy” (p.233). The idea of blasphemy as an instrument of Islamic reform is an interesting one, but it appears only as an afterthought at the end of Hirsi Ali’s book. The idea might have had serious clout if she had given it more prominence in the book and shown how it relates to her other arguments for reform. This too might be a worthwhile subject of another provocative Hirsi Ali book.